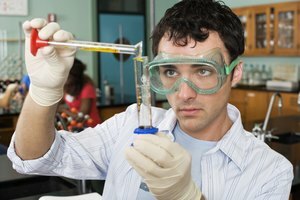 Chemistry is often a required core course in the curriculum of most four-year degree programs for both science and nonscience majors alike. When it is not required, it is often offered as an option to fulfill a core academic requirement. However, the approach to chemistry that a course takes depends on whether it is a full-fledged introductory course or a general survey course. General chemistry, sometimes known as survey of chemistry, is usually a two-semester sequence of chemistry classes that address elementary principles in general chemistry, organic chemistry and biochemistry. Classes are typically lecture only. 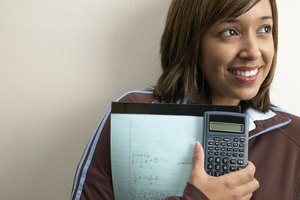 There is little math involved in the course material, as the class is not designed for students pursuing a degree in the sciences or engineering. Instead, the class focuses on presenting a general overview of the broad topic of chemistry to those majoring in an allied health professions field. 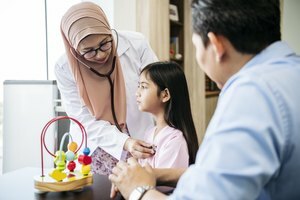 Allied health professions make up the majority of the health-care workforce, though education within the field is unrelated to medical, nursing and dentistry degrees. Allied health professionals generally focus on patient care services. Most allied health careers focus on directly supporting the patient as technicians, therapists, technologists and pharmacists, among others. While there is a range of hundreds of allied health careers, some of the most popular include dental hygienists, paramedics, clinical psychologists, optometrists, pharmacists, respiratory therapists, surgical technologists and dietitians. 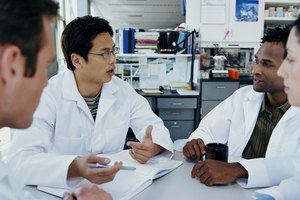 General chemistry is important to these disciplines because it grants individuals a basic understanding of how to apply chemistry to physiological applications. 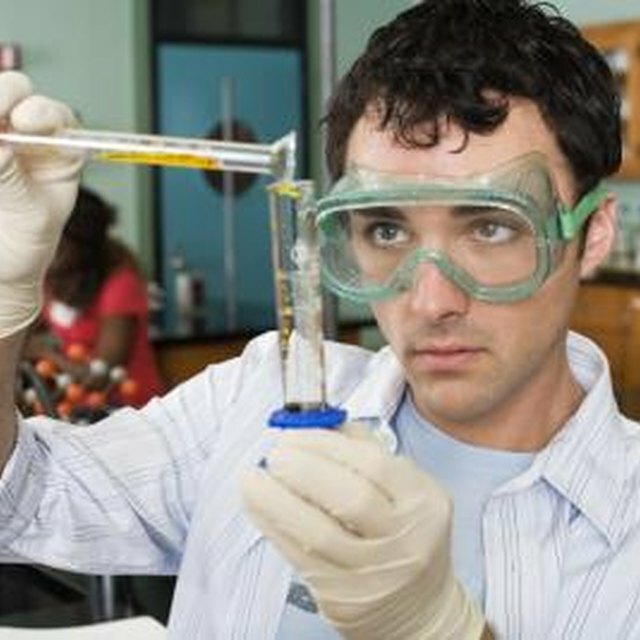 Intro to chemistry, sometimes known as principles of chemistry, is usually a two-semester sequence of chemistry classes that address basic principles and applications of chemistry in the sciences. Typical topics include chemical nomenclature; atomic structure; the composition of matter; stoichiometry; properties of solids, liquids and gases; acids and bases; molecular bonding; thermochemistry and sometimes others. A chemistry lab is included to reinforce the ideas learned in lecture. The classes are designed for students pursuing degrees in the sciences and engineering, especially degrees in the fields of chemistry. The broad field of chemistry is a science that studies matter and its properties. Focus is placed on applications involving the structure, interactions, composition and other features of chemical substances. There are multiple subdisciplines in the chemistry field including biochemistry, inorganic chemistry, nuclear chemistry, organic chemistry and theoretical chemistry, among others. The intro to chemistry sequence offers a curriculum of rigorous introductory examinations of the fundamental concepts in chemistry, allowing the student to pursue specialization in a subfield of his choice. Braybury, Luc. "What Is the Difference Between Intro to Chemistry Vs. General Chemistry?" Synonym, https://classroom.synonym.com/difference-between-intro-chemistry-vs-general-chemistry-4961.html. 21 June 2018.